I’m in the market for a reward credit card. Which one do you recommend? My favorite cash back credit card is the Blue Cash from American Express, which offers up to 5% cash back on your purchases with no annual fee. For the first $6, 500 in annual expenditures (based on your cardmember anniversary date), you’ll receive 1% on “everyday” purchases (gas, groceries, and drugstore purchases) and 0.5% on everything else. But… After you hit the magical $6, 500 mark, the rewards kick up to 5% on everyday purchases and 1.5% on everything else. So you’ll save $0.20 on every gallon of $4 gas, 5% off your entire grocery bill, and even 5% on drugs when you’re sick. And the 1.5% on all other purchases is half again as much as what most other reward cards offer. And there’s no limit on the amount of rewards that you can earn. Looking across our total spending, 14% of our purchases came from the “bonus” gas/grocery/drugstore category with 86% coming from all other purchases. Overall, we’ve earned an average of 1.9% cash back this year (our anniversary date is in December, so we’re about eight months in). These rewards will accrue throughout the year before being posted as a credit on our cardmember anniversary date. The only real downside to this card is that not everyone accepts American Express. This isn’t a widespread problem, but it happens often enough that we carry a Visa rewards card as a backup. It’s not quite as good as the Blue Cash card, but a solid stand-in when needed. BEWARE…AE Blue now pays only 1.25% after $6,500 spent (5% for gas & groceries). Chase is discontinuing rewarding $200 rewards with $250 cash starting on July 1, 2009. And for business you need $900 to get $1000. So much for that one.. I have both Chase Freedom and Amex Blue Cash. I would use the Freedom however I never can get the maximum 3% back (max $12 a month, Amex no max). According my own spending I come out a little better with the Blue Cash not even spending $10k a year. Less hassle for me than the Freedom card though I love it as my second card. Disclaimer: I know you don’t like points cards but follow me for a second. I use the points for gift cards for gifts and my wife is addicted to Starbucks, but any way I use the Citi Platinum Amex, it gives 5% to everyday and then 3% to everything else, annual fee waived after the first year off course. Plus 15,000 points after $300 dollars in purchases. Which is equivalent to $150 in gift cards. Household Bank has a 2% on everything card, $400 annual limit (which I will never get anywhere near). HSBC is the provider, I believe its pretty similar to the Orchard card which is also HSBC. There can be a fee if you have poor credit, there’s a two stage application procedure where they screen you and tell you what terms they will offer. They also offer 6 months of 0% on purchases, which is a nice little bonus. I use Chase Freedom for groceries and the Household card for everything else. While it’s not a “cash back” card per se, I would have to say that my MBNA/Bank of America 529 card that returns a flat 2% to a 529 Fidelity college savings plan is the best card I am aware of if you or anyone in your family plans to ever attend college. No annual fee. I put everything on this card including business travel and literally have saved five figures for college over a six year period. I really cannot recommend it highly enough if you have kids or plan to go back to school at any point. Interesting…I am not sure if there is something like that here in Australia. I need to do some research and find out. We obviously have AMEX cards but did not come across anything with cash rewards like this. I need to find out. We LOVE our Amex Blue Cash! November will mark our 2nd anniversary with it. Last year we got $300 back and this year it’ll be around $400! Hey, I’ll take it, especially since it’s on money we would have spent whether we were using the Amex or not. I used to use the Amex Blue (with just rewards points) and didn’t see as much value as the only items worth getting were gift cards. The Cash is so much better. We put everything (minus the monthly bills) on the Amex. It’s how we keep track of our spending and budgeting (and of course we pay it all off each month). DH’s job requires him to drive all over a metro area daily and that right there puts $400+ on it each month. Add in groceries, dining out, and all our other expenses, and we’re looking at $1500-2000/month for us. We have a Chase card with a very low fixed APR that we use as a back-up. There are very few places we go that won’t take the Amex and of all our spending, there’s usually less than $100 on that card each month. And for the previous poster, the Amex Blue/Blue Cash cards are just like regular credit cards. You can carry a balance, with a typical APR, and there are no annual fees. We do the exact same thing. we use Amex Blue Cash for most our purchases. Those that don’t take Amex, we put it on Chase Rewards. Cheapo: Thanks for the suggestions. When I joined PenFed, I had to join the NMFA for $20. Their card is a solid alternative, but I’d hate to give up that extra 3% on groceries. I agree on Chase Freedom, and highlighted it in my article as my backup card of choice (for place that don’t take Amex). As for the Orchard Bank card, I don’t see the 2% cash back listed on any of their offers (though I may have missed it). Moreover, most of their cards carry an annual fee. Not sure if the one that you’re thinking of falls into this category, but it’s something to be on the lookout for. And finally, that $300 cap on the Associated Bank card is a big negative in my book. I’ve spoken to my mother on reward cards as well…and she does the CitiBank Thank You Rewards. They had an offer where she got 5:1 for Gas/Groceries/etc for the first year. When the year is up, she signs up for another card, and gets 5:1 for another year, and the points go to the same “Thank You” account. That’s the problem that I have – American Express isn’t taken at enough places for me to get that far over the $6,500 mark. Plus I’m lucky enough to be grandfathered in another card that gives me 5% off the everyday purchases from the first dollar spent. Still I think I’d go with the Chase Freedom card in general. There’s a good Chase business rewards card that also gives you a 3% at restaurants, office supply, and home improvement stores. These come in handy. I am finding more and more places are taking AMEX (at least in Oregon) in the past 2 years. My hunch is that the increase is due to the large influence of Costco, which got its start here in the Pacific NW. 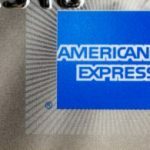 They are really pushing the AMEX card, and so more and more people have that card to use. That, and retailers that may compete with Costco now have to accept the card or lose business. That, or AMEX has lowered their merchant fee…possibly a combination of both. My wife and I use primarily the Blue Cash, and I have the Chase Freedom card as a non-AMEX backup. I’ve been wondering if there were better options out there, so it’s nice to see someone else using the same setup. If you bank at Chase you get 3% back on your top 5 categories. Also you get a $50 check or statement credit with your first purchase. Mark: It has a limit, so no worries there. Does the Amex Blue Cash have a pre-set spending limit or do they act like the other Amex cards where you have no spending limit but pay in full? 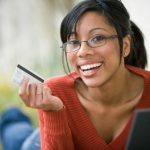 The reason I ask is more for credit scoring purposes, where I believe if it has no spending limit…it uses the most you spent in one month as the ‘limit’. So if I spent $2000 in one month that’s my new “Credit Limit” when companies pull up my credit report. I worry that it would negatively affect my Debt Ratio if applying for a new loan if I have $1500 balance at the time I apply in the future (planning on buying a new car within the next 1-3 years). I also have both these cards, but primarily use the Chase Visa for the reason you stated: AmEx is not reliably accepted by everyone. So I prefer to just consolidate everything on one card. One great bonus with the Chase card is that if you wait to redeem rewards until you have $200, they give you $250. FlatGreg: Yes, if you don’t spend much, that low tier eats into your earnings. Even accounting for that, however, we’re still right around 1.9%. YMMV, of course. And yes, I’m a big fan of the extra $50 for every $200 in rewards that you build up on the Freedom card. What I really need to do is an analysis of our combined earnings between the two cards. Since the chase freedom doesn’t have tiers, it’ll earn you more if you spend under $13,000 a year. Amex blue wins over $13k. However, don’t forget that with the chase freedom card, if you wait until you hit $200 in cash back before redeeming it, they’ll give you $250 ($50 bonus). That makes it the equivalent of 3.75% in the top 3 categories and 1.25% for everything else, still without any tiers. Accounting for this you’d have to be spending A LOT (well over $13k, too lazy to do the exact math) on your credit card for the amex blue to pay out more than the chase freedom card.